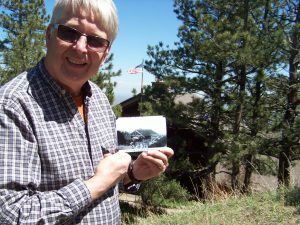 May 8, day 7 – We drove to the top of Lookout Mountain just west of Denver today to visit the Buffalo Bill Cody museum and grave-site as Earl and Ethel did 81 years ago. Trees have since grown to hide the view of the museum from the grave-site since they visited. People still throw coins on top of Cody’s grave. The tradition began with folks throwing buffalo head nickels but has switched to people now tossing whatever pocket change is available. The parking lot and grounds were fairly busy on a Tuesday. It appears that showman Bill Cody still has relevance as a historical figure in today’s digital age. 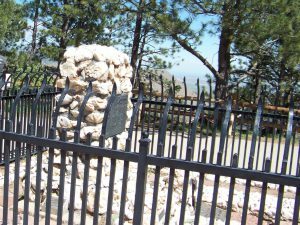 The road to Lookout Mountain climbs nearly 1500 feet in five miles on a series of sharp curves, inclines, and switchbacks. 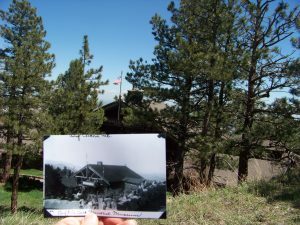 It was constructed in 1914 as an intentional scenic road. Nearly 20,000 people used the road to attend Bill Cody’s burial in 1917. Later improvements still trace the original roadbed. 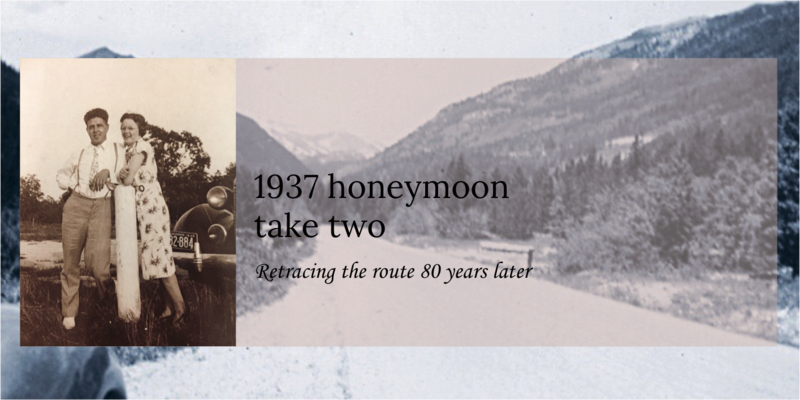 The road became the initial leg of a 40-mile drive known as the Lariat Trail in the 1920’s and in 1990 was listed on the National Register of Historic Places. Our SUV climbed the distance but groaned at times as did we! 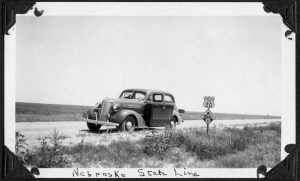 We wondered at how the 1937 Chevy took the ride?